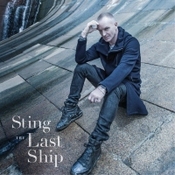 Sting.com > News > Sting in Conversation with Anthony DeCurtis – October 30 at the 92Y in New York City! Tickets will be available for sale beginning September 10 at 9AM/EST. Additional details may be found at http://www.92y.org/tickets/production.aspx?pid=98540.